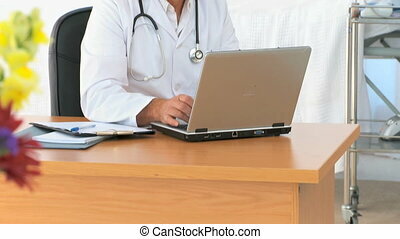 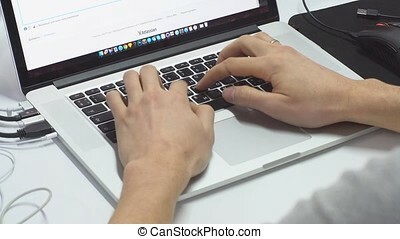 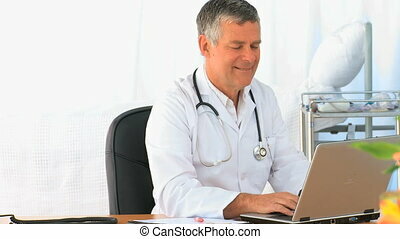 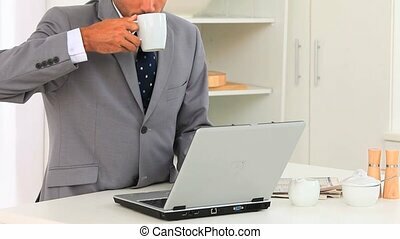 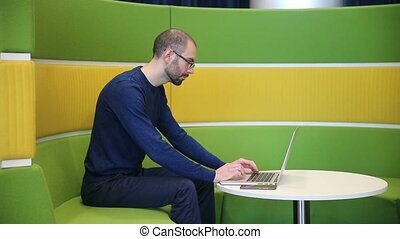 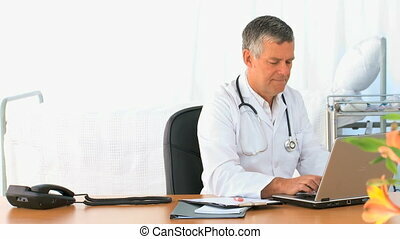 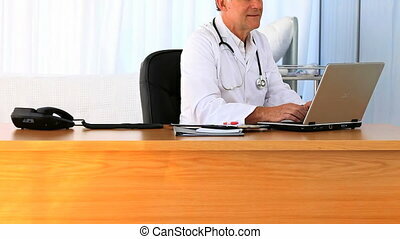 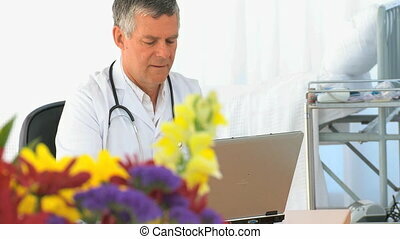 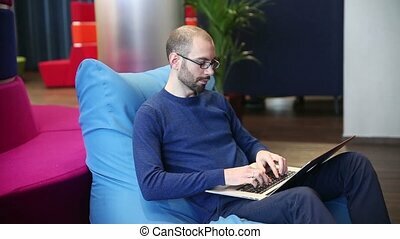 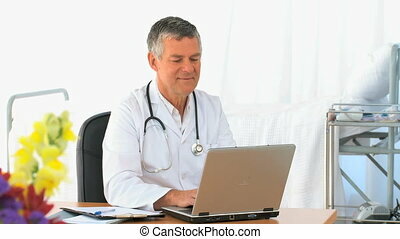 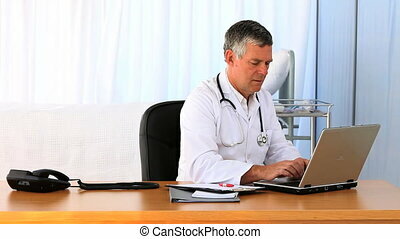 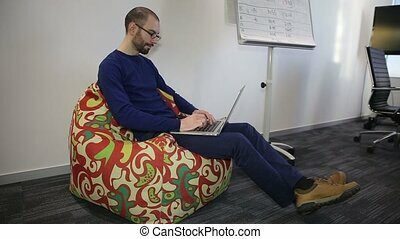 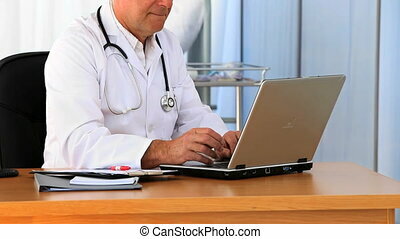 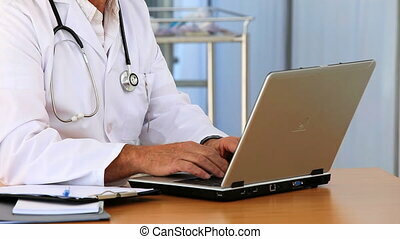 Mature man working on his laptop. 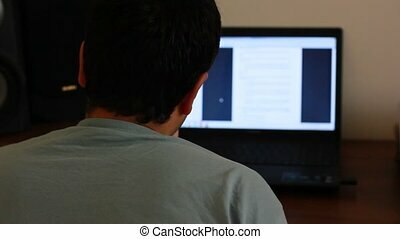 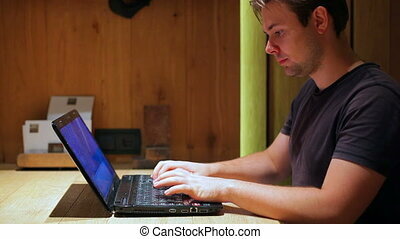 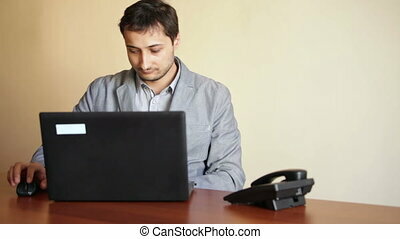 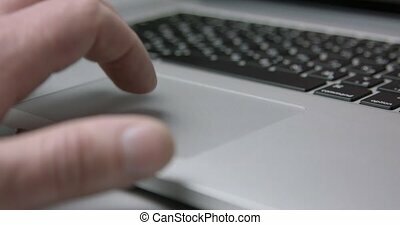 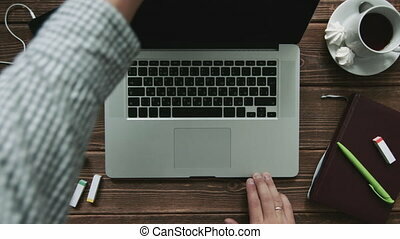 Young man working on his laptop. 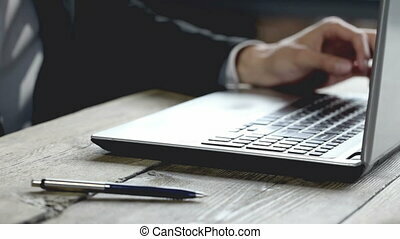 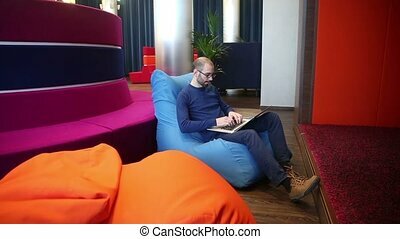 Cropped shot of man working on notebook at his workplace. 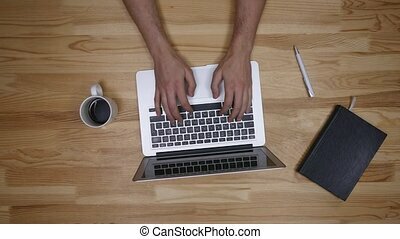 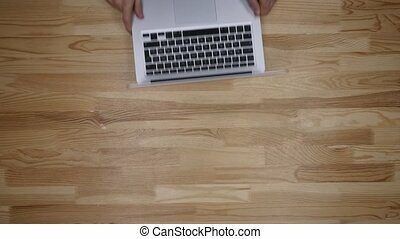 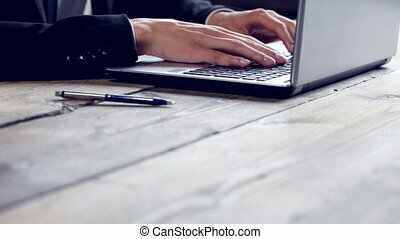 Man working on a wooden floor with his laptop.